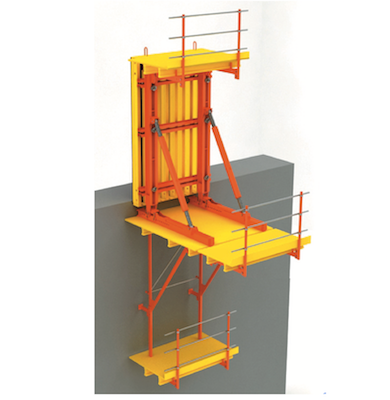 On mass concrete structures, it is not normally feasible to place form-ties through to the opposing formwork. 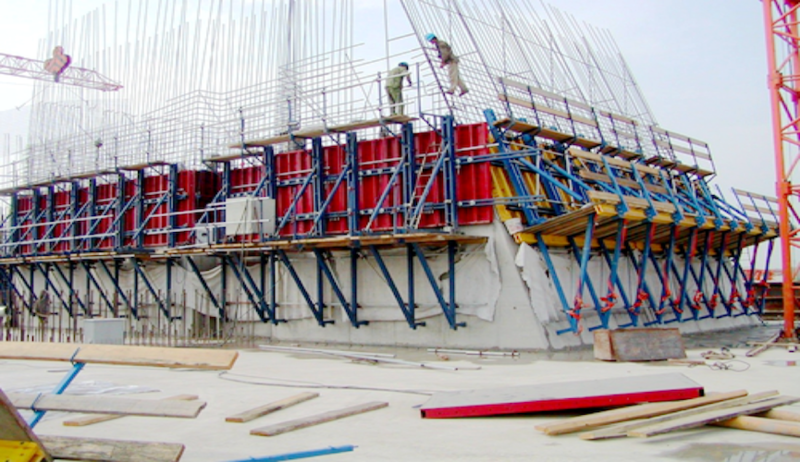 For this reason, the pressure of the fresh concrete has to be transferred into the previous concrete block. 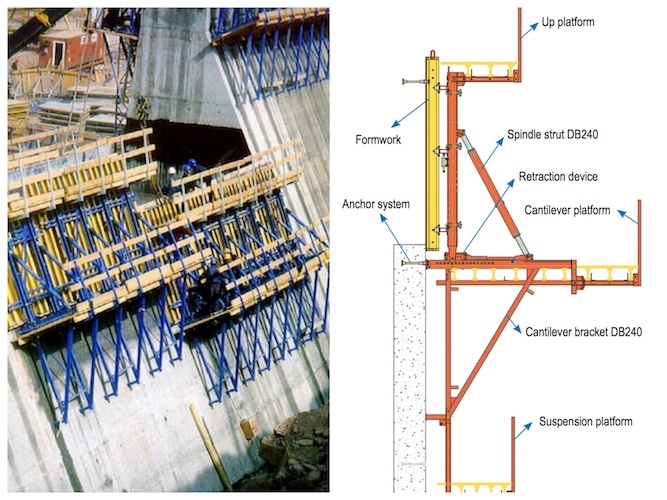 NGM dam formwork ensures that the forces which occur here are transferred safely and reliably.